After nature helped me recover from cancer, I recognize the value of protecting it more than ever. November 20, 2018 — Before my first chemotherapy appointment, I read that some people taste the drugs as they are being injected. But all I could taste was the saline the nurse used to flush out the IV line. It tasted like I was swimming in saltwater and getting some up my nose. 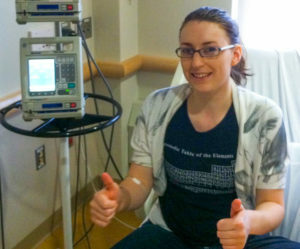 Sitting there with tubes coming out of my arm being treated for Hodgkin’s lymphoma felt like I was having a bad dream. Like most 24 year-olds, I thought I knew a lot about the world. But I had no idea that soil bacteria would essentially save my life. The drugs I received dripped down from clear bags hung from a metal pole, except for one. It was bright ruby red — Kool-Aid red — and instead of being administered with an IV drip like the rest, this one had to be injected with a syringe, “pushed” into my veins, as the nurses described it. The author after her first chemotherapy treatment. Courtesy of Emily Cassidy. “Is it dye?” I asked the nurse. “No, it just looks like that,” she responded as the red liquid flowed into my arm. “Do you know how it’s made or where it comes from?” I asked her. She shrugged and admitted she didn’t. Chemo left me in a glassy-eyed haze that required a three-hour nap, but when I came out of it I started reading. I learned that the drug is called doxorubicin. More evocatively, it’s also called the red devil — and not just because of its color. Hair loss, mouth sores and nausea are some of its many side effects. It also blisters the skin, so it must be handled carefully. I discovered that the drug was derived from a strain of soil bacteria found in the late 1950s in the dirt outside of a 13th century castle in Italy. 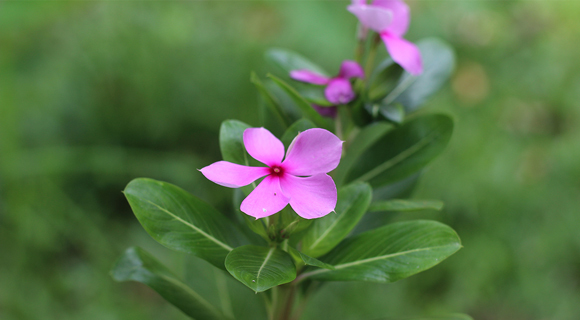 Not only that, I learned that the bleomycin I was taking was derived from bacteria, and my vinblastine was isolated from the Madagascar periwinkle. I was dumbfounded to find out that biodiversity was saving my life. Maybe I hadn’t paid enough attention in biology class.This blew my mind. I remember learning in school that some medicines, such as aspirin and penicillin, were serendipitously found in nature, but I always thought those were exceptions to the rule. If you had asked me where cancer drugs came from before that day, I would have said they were made by chemists tinkering in the lab, mixing together different compounds. I had spent the previous five years of my life studying environmental science, but I was dumbfounded to find out that biodiversity was saving my life. Maybe I hadn’t paid enough attention in biology class. In fact, a vast number of medicines — including about half of all recently approved cancer drugs — come from plants, microbes and fungi. Much like my chemo treatment, three-fourths of anti-tumor compounds exist as, or are derived from, natural products. Natural products laid the groundwork for modern chemotherapy and have played a critical role in doubling human life expectancy in the 20th century. The investigation into nature as a source of modern medicines started off with an accidental discovery. 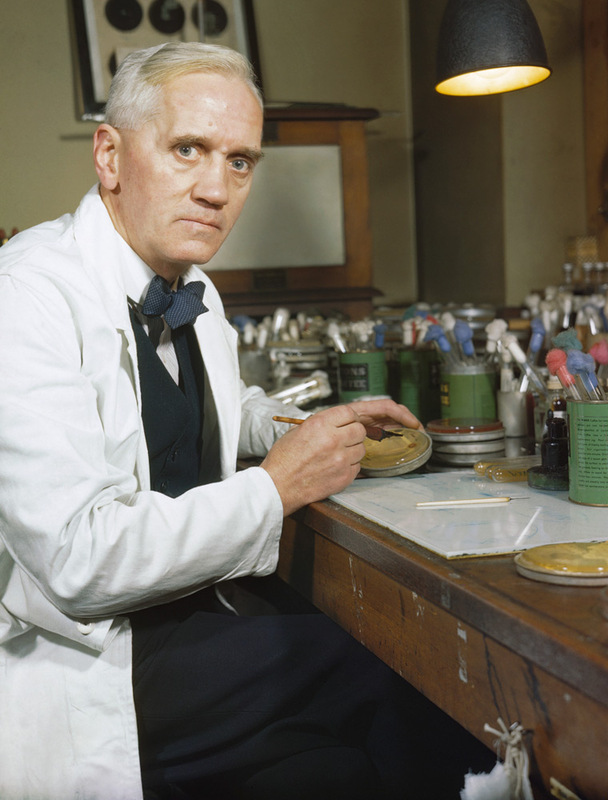 In 1928, microbiologist Alexander Fleming found some mold contaminating one of his petri dishes had inhibited the growth of bacteria. The mold, Penicillium chrysogenum, became the source of the world’s first antibiotic in 1942. The success of penicillin sparked curiosity into the medical potential of natural compounds. In 1960, the National Cancer Institute (NCI) teamed up with the U.S. Department of Agriculture (USDA) to expand the search for cancer treatments from synthetic compounds to naturally occurring molecules by having botanists collect plant samples from around the U.S.
As part of that program, USDA botanist Arthur Barclay collected bark from a Pacific yew tree in Washington State near Mount St. Helens. The chemical structure of a compound in that bark was published in 1971 with the name taxol. The bark of the Pacific yew tree is known to be poisonous. The authors of the publication, most notably Monroe Wall and Mansukh Wani, described it as a novel antitumor agent because of its ability to kill cancer cells in the laboratory. Unfortunately, getting enough of it to research its cancer-fighting potential was a challenge. A 40-foot Pacific yew tree can take 200 years to grow, and its bark yields only half a gram (0.02 ounces) of taxol. 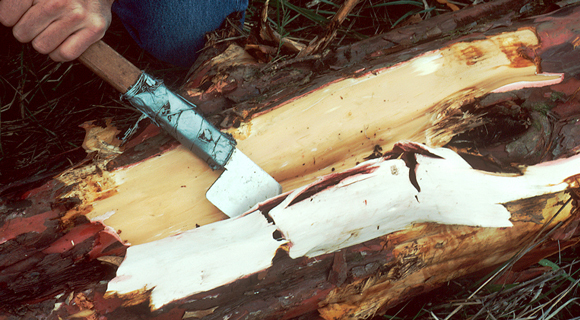 Removing the bark kills the tree, so harvesting it for use in cancer research was controversial among environmentalists, including Al Gore, who wrote, “It seems an easy choice — sacrifice the tree for a human life — until one learns that three trees must be destroyed for each patient treated,” in his 1992 book, Earth in the Balance. Given that downside, chemists around the world were hard at work trying to re-create the chemical in the laboratory. It looked “totally impossible to synthesize,” Robert Holton, a professor of chemistry at Florida State University, recalls. But it was exactly the type of challenge that Holton, then a postdoc at Stanford, was looking for. Holton started looking into 10-deacetylbaccatin (10-DAB), a related compound found in the common English yew. And in 1994, he and colleagues reported that they had developed a four-step procedure to convert 10-DAB into taxol, so Pacific yews no longer had to be felled to save cancer patients. Taxol eventually made it onto the World Health Organization’s List of Essential Medicines and today is used to treat breast, ovarian, pancreatic and certain lung cancers. David Newman, retired chief of the Natural Products Branch of the NCI, periodically publishes a review of all approved medicines and traces them back to natural products. In 2013, Newman described nature as providing the “chemical scaffolds” for medicine, because the discovery of a novel structure can inspire the development of many derivative medicines. These scaffolds were built over millions of years as plants, bacteria and fungi evolved a multitude of defenses against other organisms. In some cases the large-scale production of medicines relies on the original source, but efforts are underway to synthesize the needed compounds. For example, it takes some 500 kilograms (1,100 pounds) of dried leaves of the Madagascar periwinkle to make just one gram (0.04 ounces) of vinblastine (also on WHO’s list of essential medicines). In June 2018 researchers reported in Science that they had used genome sequencing to finally piece together a way to biosynthesize the drug, some six decades after its therapeutic potential was recognized. Manufacturers can use this knowledge to produce this expensive chemotherapy drug without relying on the original plant material. The Natural Product Repository at NCI is home to more than 230,000 substances derived from plants, animals and microbes found around the world. Scientists there are developing new methods of understanding the complex chemistry of natural compounds and conserving the samples they have. By mapping the genomes of bacteria and plants, they are gaining information they can use to synthesize new compounds with medicinal potential. Even as we rely on nature for fundamental medicines, we’re losing its diversity, and we’re losing it fast.But even as we rely on nature for fundamental medicines, we’re losing its diversity, and we’re losing it fast. Deforestation and climate change are driving species to extinction 1,000 times faster than you’d expect if no humans lived on Earth. I asked Newman if he knew of any sources of medically important natural compounds that have been lost. He remembered one, a tree that researchers at the University of Illinois found on the island of Borneo. They brought a branch back to the lab, where they discovered it contained a molecule that showed promising anti-HIV properties. Later, when they returned to the same spot, the tree had been cut down. Fortunately, researchers eventually were able to find similar trees and continue their studies. But given the rate of loss, we are undoubtedly losing species whose potential as medicines we’ll never know. Cancer taught me a lot of things. It taught me to appreciate the time I have on this planet, and it taught me something new about the true value of nature. I hadn’t realized how important biodiversity is for medicine and how much my own health relied on the diversity of plants, microbes and fungi. Protecting the diversity of life on earth is not just important for saving the wild places and animals we love. 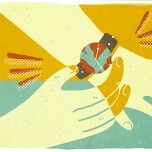 It’s essential for saving ourselves and the health of our loved ones. 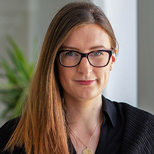 Editor’s note: Emily Cassidy wrote this story as a participant in the Ensia Mentor Program. The mentor for the project was Lindsey Konkel. 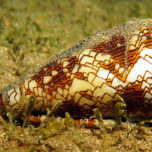 Could venomous snails be part of the solution to the opioid epidemic? Wow! thanks a lot for sharing this. I am a student of environmental science and most of the time when we talked about biodiversity is usually broad in my mind without seeing the direct benefit of it, but this story has really narrowed it down for me. Thanks Emily . Thank you for reading, Queenette! I'm glad you enjoyed it.